The Marine Center at Kuredu is a must-visit place for guests who are inquisitive about life in the ocean; Sea Turtle Biologist and Guest Educator Kristina, who joined the team in November 2018, is ready to share her knowledge so come along and find out more! From an early age, Kristina dreamed of the ocean and of being a Marine Biologist and before joining the Olive Ridley Project she worked in South Africa with white sharks, humpback whales, cape fur seals and southern right whales. Through identification of the sea turtles Kristina can monitor their population in the Lhaviyani Atoll and she manages the atoll database for gathering the information. 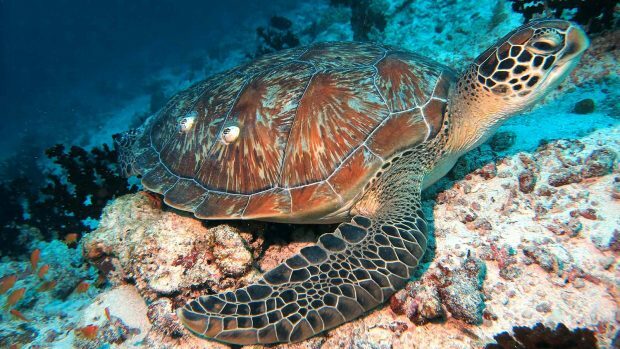 The data collected is then fed into a National Database of the Maldives where several Marine Biologists use the information to help build a picture about the Maldives Sea Turtle population as a whole. 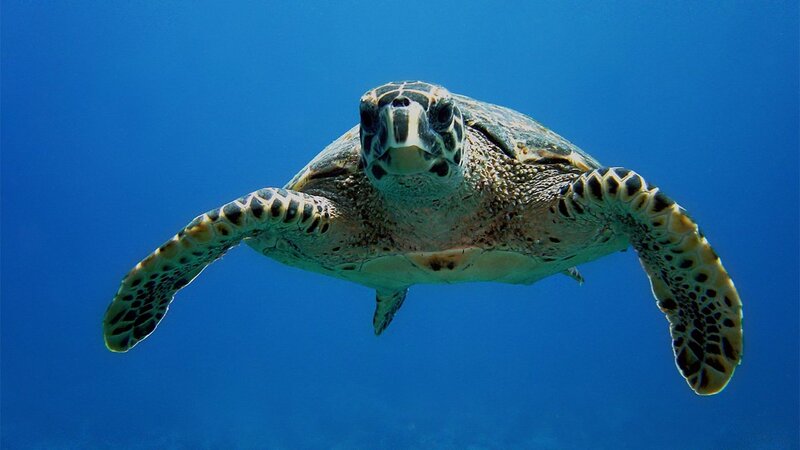 Kristina uses photos of the right and left sides of the sea turtles’ face to identify them – the number and shape of the scale arrangement in this area is unique – it’s painstaking work but it allows her to see if this is a previously sighted turtle or one that is new to the area. 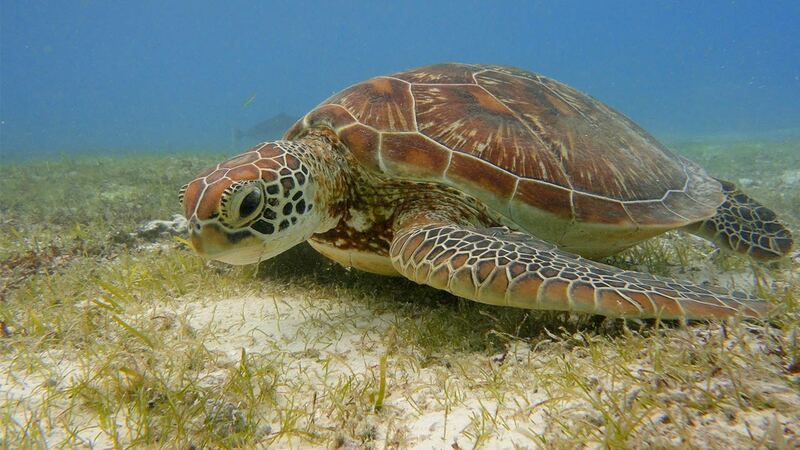 Guests can get actively involved in the Marine Center’s work by sending good photos with clear side views of the Sea Turtle’s face, to Kristina using the button below. Kristina will let guests know if the turtle is already known to the database, or if it is new to science! If it is new, the guest has the opportunity to adopt and name the turtle. 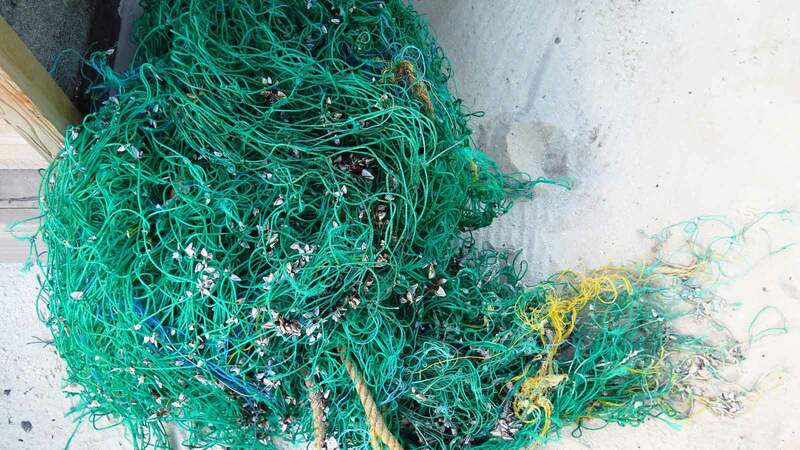 Ghost nets are discarded or lost nets that float in the ocean, trapping marine life on their deadly and aimless drift. Often called the ‘silent killers’ of the oceans they pose a major threat to animals – entangling and killing them; guests visiting the Marine Center can view pictures of ghost nets. Whenever they are found, Kristina records where they were found, what they look like and what kind of animals became entangled. The information gathered can help to figure out where the net came from and the Olive Ridley Project tries to take action to reduce the number by removal, reuse, education and community outreach programs. 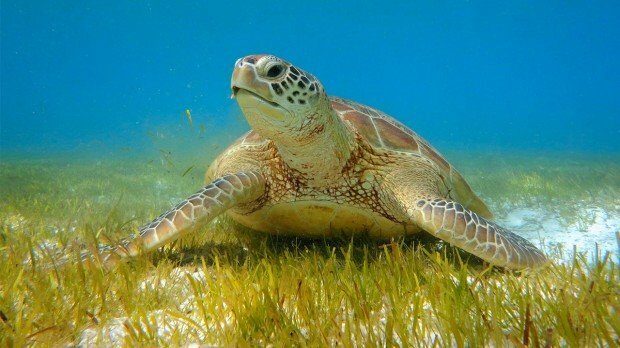 When entangled sea turtles are found, still alive, if they are healthy they are released, or taken to either the Turtle Sanctuary in Naifaru or Baa Atoll for medical treatment and rehabilitation as required. 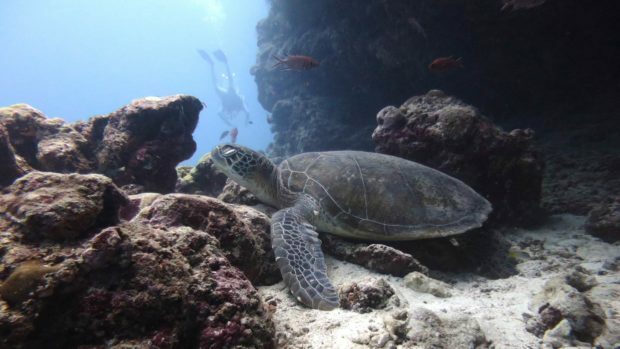 It’s clear to see that the Marine Center and the work undertaken there is a great asset to Kuredu and to life on the reefs of the Lhaviyani Atoll. To find out more about Kristina’s work please send her an email or, for guests currently on Kuredu – pay her a visit at the Marine Center, a very warm welcome awaits.